Everyone in your industry will be there. 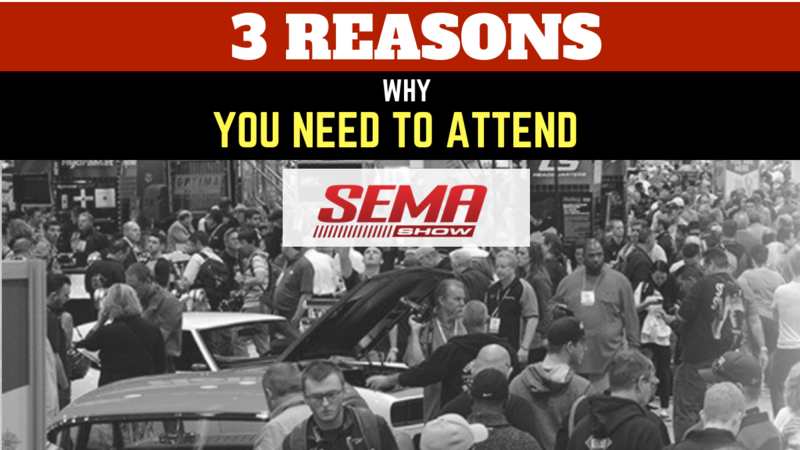 This year’s SEMA show will feature 2,400 exhibiting companies, from veteran manufacturers to start-ups, all of whom will be showcasing over 3,000 new products. That means you’ll have four days to cover over a million square feet of convention space that will yield new prospects, new technologies, great new information to take home, profitable sales strategies, and the motivation to succeed. SEMA features more than 3,000 products — the majority with demonstrations and information to scan and download to view later. The four-day event also has educational seminars by industry leaders and sales experts, so you can get up-to-date information and best practices on online marketing, social media, email marketing, customer service, and money saving tips. Finally, think about the one-on-one time you’ll be having with people in your industry: Now is the time to ask questions, learn more about trends, and make connections that will last long after the show. In our 30th year, ASA is looking forward to continuing our commitment to serve all segments of the market, from the largest independent chains to the single store owners. Whether you are a retail, wholesale, commercial dealer or a retreader, ASA’s TireMaster will help you streamline operations and optimize your business performance.